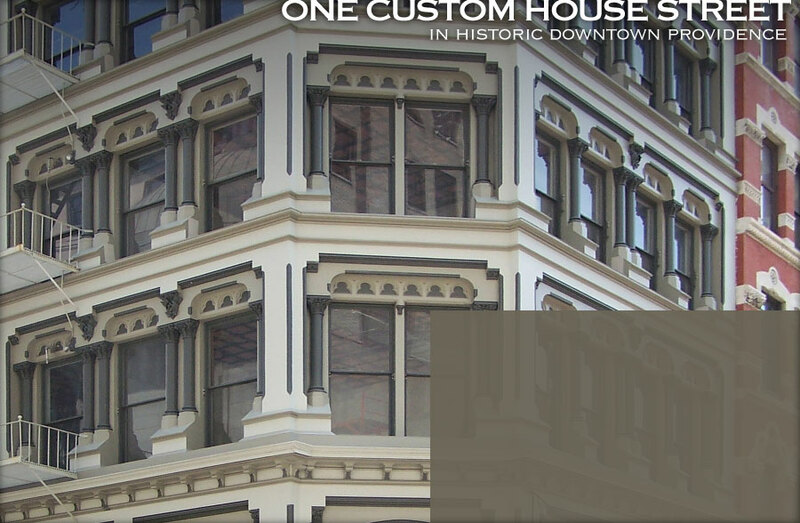 Commonly known as The Equitable Building, One Custom House Street was first constructed in 1872, one of the first structures to use a "cast iron" façade in Providence. Its internal structure is comprised of old world four inch square wooden planks salvaged from early 19th century sailing vessels. Built as the corporate headquarters for The Equitable Insurance Company, One Custom House is now available as professional space for lease.